Home F1 A mechanic of McLaren on 2007: "Dennis wanted Hamilton champion, Alonso was right"
A mechanic of McLaren on 2007: "Dennis wanted Hamilton champion, Alonso was right"
Marc Priestley, a McLaren mechanic for ten years, tells how the favoritism towards Lewis was created when they were partners in 2007. The trajectory of Alonso in Formula 1, brilliant with its two titles and its many exhibitions of talent, is also full of chapters to forget. One of them, perhaps the blackest, was in 2007, his first year at McLaren, that impossible to forget in which he escaped the third title followed by an absurd and ruthless battle with a Hamilton that was rookie at the time. Now, eleven years after that happened, a witness who lived in the front row gives details of how the team broke Woking. Marc Priestley was a mechanic of the British team for ten years and tells 'Drivetribe' the favoritism that Ron Dennis acted on Hamilton: "Lewis was a McLaren protégé, he knew he had the backing of Ron and the entire British press. 222222 While Fernando, who was the current champion and was widely considered the best driver, he entered a British team with a British driver, and he was totally convinced that the team and Ron backed Lewis, which, at the beginning, was certainly not the case. " 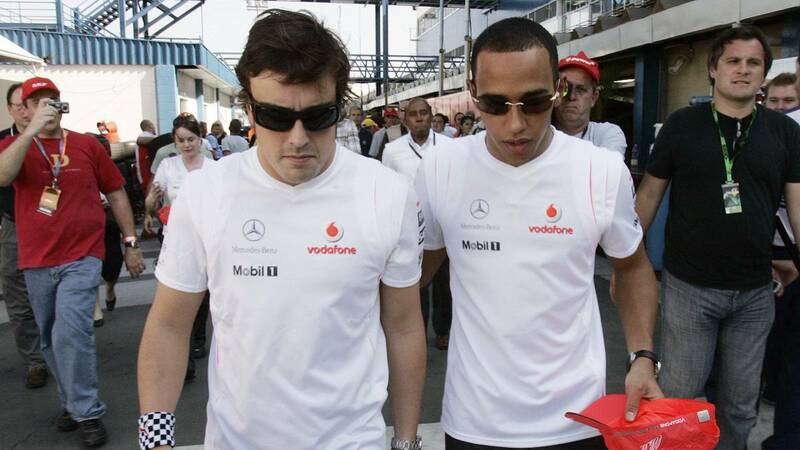 " Eventually, we all knew that the relationship was completely broken between the team and Fernando, and at that time I think Ron really wanted Lewis to win the title in the second half of that season and therefore, it was finally shown that Fernando was right, at least in his own mind, "says Priestley, revealing that all the movements that McLaren made in the second half of 2007, by order of Dennis, were orchestrated to benefit to Hamilton. The situation between both pilots tensed to such an extent that Marc confirms that they came to hate each other, causing an irretrievable split between the two sides of the team: "I was in the middle and it's fair to say that they hated each other at the end of that season. They were not working together at all. And when that happened, the staff of the two cars that were around them naturally closed ranks around their man, so it ended up creating a big division in the middle of the garage. That separated the team. "